Everyone in Wells Landing has long expected Sadie Kauffman and Chris Flaud to marry, despite Sadie's telling them differently. While she loves Chris, she sees him more as a friend than a husband. Yet at twenty-two, the plainest girl in her group, Sadie is also the only one who is still single. Perhaps it's time to be practical and marry Chris, though he still has not asked. But when Sadie meets a kind, handsome Mennonite, it seems that her prayers have been answered . 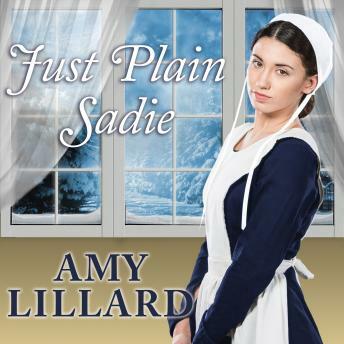 . .
With Ezra Hein, Sadie at last feels the joy she nearly gave up on. Unfortunately, others only feel shock that she would consider marrying an outsider. To complicate matters, Chris has finally begun talking to Sadie about their future. Distressed, Sadie will have to search her heart to recognize God's marvelous gifts to her and find the courage to accept them, challenges and all.